Even though Kevin Durant is currently sidelined, and may even be traded, the Oklahoma City Thunder are playing well behind Russell Westbrook and Enes Kanter. People are talking about the Thunder possibly upsetting the Warriors or Grizzlies in the first round of the playoffs. On Wednesday, the San Antonio Spurs were tired of hearing how great OKC is, and they delivered a 39-point message to the Thunder establishing that, in case anybody had forgotten, they are still the defending champions. San Antonio 130, OKC 91. March Madness resumes on Thursday, and these are going to be some incredible games. One of the most anticipated matchup is #5 West Virginia vs. the unbeaten #1 Kentucky. West Virginia is a very tough defensive team and head coach Bob Huggins has a history of upsetting Kentucky, as his Mountaineers’ team toppled a Kentucky squad that included John Wall, Eric Bledsoe, and DeMarcus Cousins (all stars in the NBA). Plus, a West Virginia guard, Daxter Miles, said publicly that Kentucky is going to be 36-1. We’ll see if it was a good idea to rile a powerhouse like Kentucky. 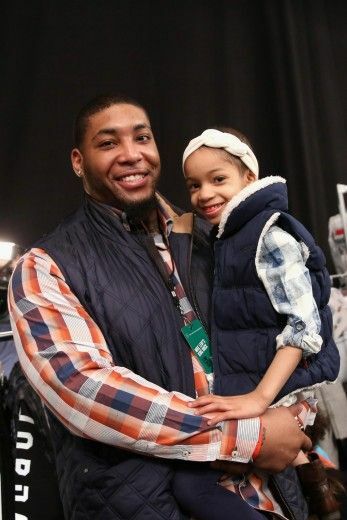 In some feel-good news, many remember the Devon Still story from last year’s NFL season. 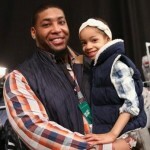 Devon Still is a defensive tackle for the Bengals who had to take time off to help his young daughter with cancer. It started with a viral video of Still “fist-bumping” his daughter before a difficult cancer operation. The whole country got behind Still, and his jersey sales soared. And on Wednesday, it was reported that his daughter Leah’s cancer is officially in remission. Just wonderful news.